Berkeley’s unique mobile phone detection device is a close range TSCM security scanner for concealed mobile phones (ON or OFF and even with battery removed). Manta Ray™ differs from traditional metal detectors in that it scans for specific components common to all mobile phones and not just metal. This reduces false triggers* such as watches, keys, coins, belt buckles and other common metal items that may trigger a standard metal detector. 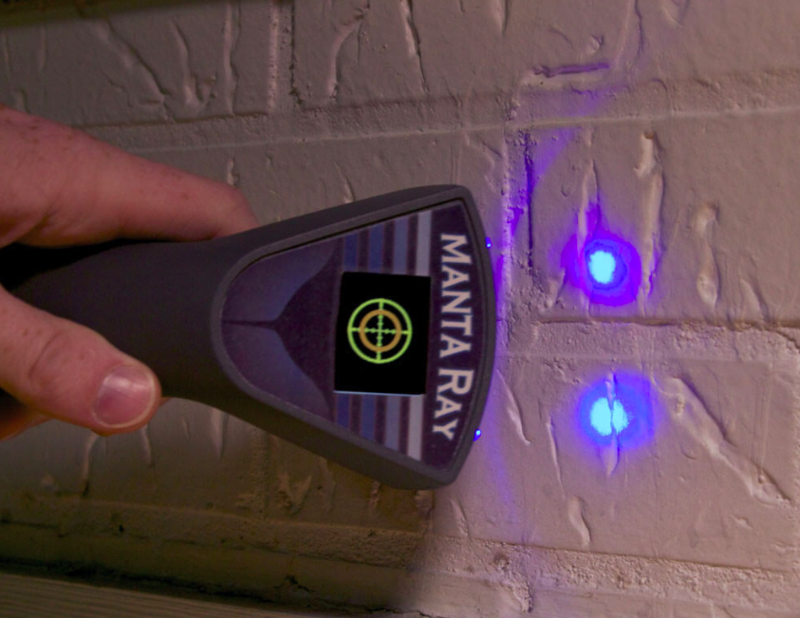 Manta Ray™ is the perfect tool for any security detail tasked with rapid scans of many targets including people, packages, bags, briefcases, purses & more. 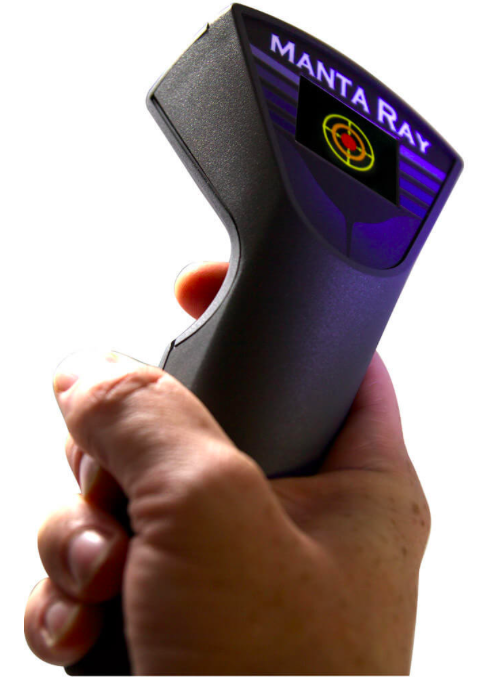 Manta Ray™ supports both HANDHELD and all new STATIONARY mode for ultra-sensitive package inspections. *Some metallic objects other than phones may trigger the detector though most metals do not cause false detection. Minimise false triggers from common items like keys, belt buckles, coins, watches, etc. Does Manta Ray detect all mobile phones? Yes. Manta Ray will detect all known mobile phones both ON and OFF. It even detects phones with the battery removed. 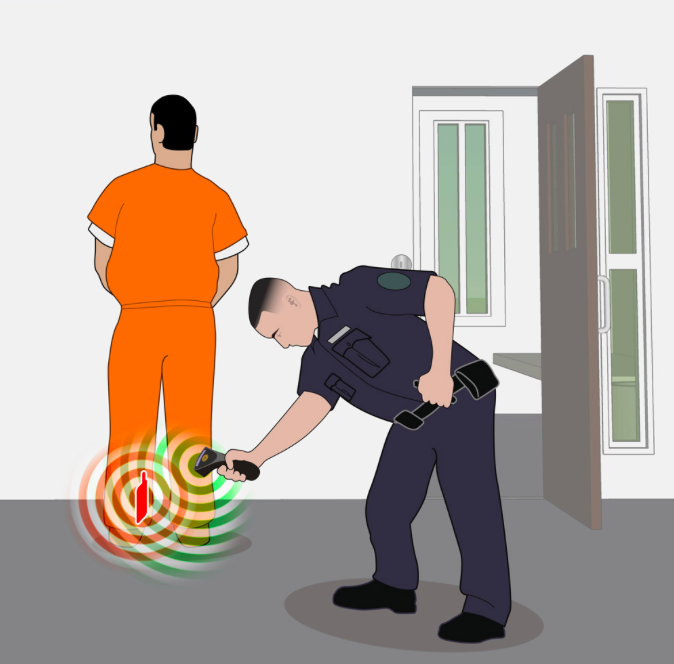 Manta Ray is a close range device similar to handheld metal detector wands. Manta Ray will detect phones on a person and inside a briefcase, backpack, purse, etc. from 0 – 6 inches away. Does Manta Ray detect knives or guns? 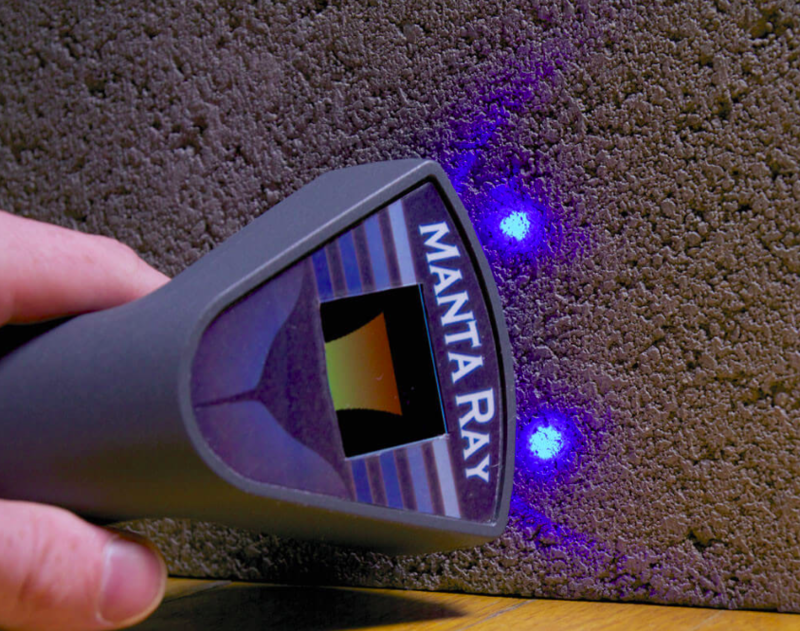 Manta Ray can detect some knives but is designed to be one part of a more complete security detail that includes metal detectors, armed guards and explosive material detections. 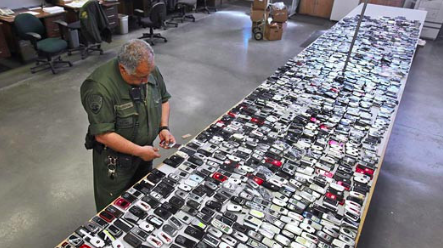 Manta Ray may be triggered by some metals but is primarily used to eliminate the presence of a mobile phone before more exhaustive or invasive searches are performed. Can Manta Ray be tricked or foiled? Manta Ray can produce false triggers from certain metals and from some electro-magnetic interference sources.